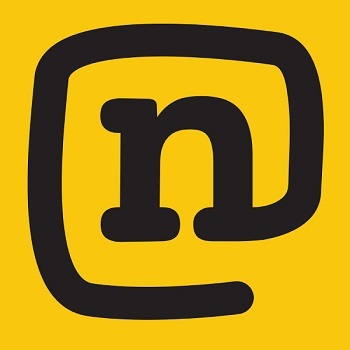 NEW YORK, NY – January 6, 2014 – Today, Network A, a global action sports brand, announced new programming for NetworkA.com, including the third season of “Alana: Surfer Girl,” featuring one of the world’s most recognizable professional surfers, Alana Blanchard. Additional programs include the new drifting series, “Drift Garage,” starring Ryan Tuerck and Chris Forsberg, a behind-the-scenes look at rock band Switchfoot’s new album “Fading West,” and a new episode of “Every Third Thursday,” where the team will attempt to build a snowboard made from recycled Christmas Trees. “Network A showcases the best action sports lifestyle content online,” said Stefan Van Engen, SVP Programming and Content of Bedrocket. “We have a full slate of new and returning Network A originals planned for 2014 as we continue to invest in shareable programming that connects with our audience wherever they are." “Network A is fortunate to work with the most interesting and talented action sports athletes,” said Annie Fast, Senior Director of Programming for Network A. “From surfing around the world with Alana Blanchard to creating unique snowboards with Dave Lee or shredding the streets with Ryan Tuerck and Chris Forsberg, we're continuing to deliver series with great personalities and action our fans crave." “Alana: Surfer Girl,” which has generated more than 8 million views since the show premiered, provides viewers with an inside look into the life and journey of professional surfer Alana Blanchard as she competes on the ASP Women’s World Tour. Season three will highlight Alana's experience at the 2013 Vans U.S. Open of Surfing in Huntington Beach, California, including unprecedented fan reaction and support for the Hawaii native. The new season will also showcase a promotional trip to Sydney and Melbourne, Australia with long-time sponsor Rip Curl, and dry land training with prominent professional football training specialist, Performance Gaines. Through her rise in popularity, competition on the pro circuit and increased commercial demands, the new season will let viewers watch as Alana strikes a balance between work and her relationship with pro surfer Jack Freestone. Season three of “Alana: Surfer Girl” will offer fans the opportunity to join Alana and her closest friends as they explore and enjoy all that the great sport of surfing has to offer. “Alana: Surfer Girl” is produced by Network A and 8 Side Productions. Stefan Van Engen and Annie Fast are the executives in charge of production for Network A. “Drift Garage” is a how-to series hosted by professional drifters Chris Forsberg and Ryan Tuerck showing how to source, build, and maintain a missile car for $5,000. Often made using spare parts or scrap pieces, missile cars, built primarily for drifting, are assembled at low cost as they are meant to be thrashed through aggressive and adventurous drifting. "Drift Garage” is directed by Andrew Laputka and produced by Jacob Agajanian and Network A. Stefan Van Engen and Annie Fast are the executives in charge of production for Network A. A 4-part, in-depth, behind-the-scenes mini-series about the new album and surf film “Fading West,” starring and produced by rock-band Switchfoot, follows the San Diego-based rockers as they travel to the wave-rich lands of Bali, Australia, New Zealand and South Africa in the newly released film. Along the way the band connects with surfing royalty, including Tom Curren and Rob Machado, survives an intense big wave session with the Hurley team, and records a live performance in their hometown following their annual Bro/Am surf contest. “Switchfoot’s ‘Fading West’ Behind-the-Scenes” is produced by Network A. Stefan Van Engen and Annie Fast are the executives in charge of production for Network A. Airing monthly on the third Thursday of the each month, “Every Third Thursday” showcases Signal Snowboard’s Dave Lee and Marc Wierenga as they develop and create unprecedented concepts of one-of-a-kind snowboards. In the newest episode, the team attempts to build a snowboard made from recycled Christmas Trees. “Every Third Thursday” is produced by Network A and Signal Snowboards. Stefan Van Engen and Annie Fast are the executives in charge of production for Network A. Network A, a division of Bedrocket, provides the best action sports experience online, anywhere, ever. Created in partnership with Wasserman Media Group in 2012, Network A is a leader in action sports entertainment providing the latest programming for snow, ski, surf, skate, moto, drift and BMX fans. Follow @networka and visit NetworkA.com for more information.